As Aesop is quoted: “It Pays to be Prepared”. So how does dental insurance play into such a quote? Let’s see. We prepare for a lot of things (or we’re supposed to be prepared, right?)! Like a job interview, it’s best to be prepared to answer interview questions (if we want the job). When we go on vacation, we pack the things we need to be prepared to have fun. We save our money and prepare for retirement. So, why would we not be prepared for a necessary dental treatment? Have you ever heard the phrase, “It’s not IF, it’s WHEN”? We have dental insurance for the “WHEN”! Because accidents happen and our teeth, like our car, are going to need proper maintenance and repairs at some point… so it’s always best to be prepared with dental insurance to help with unplanned expenses. You take time to brush, floss and schedule your dental appointments every 6 months with Dr. Charles R. Kimes at Overland Park Dentistry. Because that’s what you do if want to have healthy teeth and a beautiful smile. However, having dental insurance for proper maintenance or a dental emergency is what you do if you want to be prepared for the unexpected. Although many dental insurance plans can provide you with excellent coverage depending on the treatment you receive, it is extremely important to realize that the purpose of dental insurance is to assist you in covering some of, but not all of the expenses for the care you receive. Additionally, certain types of dental treatments may not be covered by your insurance provider at all. So taking the time to make sure you and your family have adequate dental coverage is important and Delta Dental can help. Related Article: Your Dental Benefits may Expire Soon – Use ‘Em OR Lose ‘Em! Delta Dental has been working to improve oral health and hygiene by emphasizing preventative care since 1954. They believe everyone deserves to enjoy a healthy smile and so do we! An essential part of a healthy lifestyle is your oral health. Delta Dental offers individual dental insurance plans that can help you maximize your oral health. As a matter of fact, people with dental insurance are more than twice as likely to visit their dentist regularly. Use their individual dental insurance locator to find an individual or family dental insurance plan that is available in your state. Delta Dental even offers a bi-annual e-magazine, Grin! It has something for everyone: oral-health friendly recipes, tips on floss and toothbrushes, oral health history and more. Read the latest issue of Grin! Here and brush up on your oral health IQ. They even offer a mobile app where you can check your coverage and claims … you can even set a toothbrush timer to make sure you or your littles are brushing the recommended 2 minutes! You are free to visit any dentist you’d like (however there may be a difference in payment if the dentist is not an in-network dentist). Check-ups and cleanings do not apply to your annual maximum benefit (this means you don’t pay a deductible for exams and cleanings. And the benefit paid for exams & cleanings does not reduce your annual maximum benefit). There is a 6-month waiting period for Basic Services (fillings and non-surgical extractions) and a 12-month waiting period for Major Services (root canals, dentures, crowns & bridges, gum disease treatment, surgical tooth extraction, implants and occlusal guards for teeth grinding & jaw clenching prevention). That’s why Overland Park Dentistry participates in both the Delta Dental PPO and Delta Dental Premier plans. Things can change quickly, so please … don’t take our word or what’s included. 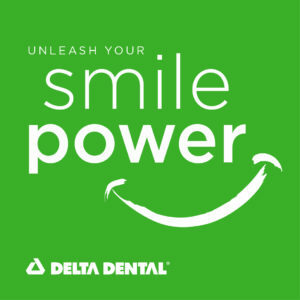 Go directly to the source at Delta Dental! Choosing a dental insurance plan can be overwhelming, especially when you are trying to research and compare monthly premiums, annual maximums, deductibles, etc. You can make your decision easier by reading this article, selecting a dental insurance plan. Delta Dental: You can enroll today! Although the information stated above may certainly provide you with some valuable insight into the four Delta Dental insurance plans, it is important to realize that there are considerably more benefits available. If you are interested in getting additional details about whether or not a Delta Dental plan is best for you and your family, you’ll want to search their website. While there’s no way you can predict the future of your oral health, by preparing yourself with a quality coverage plan, you have taken a major step to protect yourself and your family. If you are currently looking for a family dentist in Overland Park, KS … here is an article that may give you a few tips on what to look for.